If you are considering moving to New York, and are looking for information on the area, allow us to guide you. We can help make your long distance move to New York easy, providing you with up to 10 free and personalised quotes from moving companies experienced in moving to NY, who will safely transport your possessions from door to door, inter-state or internationally. New York, located in the North East of the US, is one of the most highly populated states, currently third behind Texas and California, with a population of around 19 million. 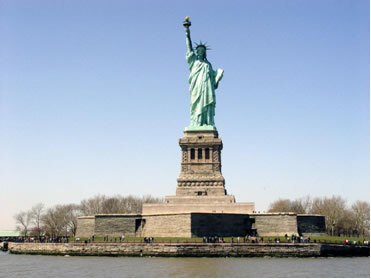 New York is home to large areas of mountains, forest and natural lakes. The large lakes of Erie and Ontario are to the West and North West borders and the state borders Canada to the North East. It is also home to many national parks, and the world renowned attraction, Niagara Falls. The state has a varied climate, with mild wet winters and warm summers. If you are are interested in moving to New York for work the local economy is strong, and the state has one of the worlds highest per-capita incomes (over $50,000 per person). The states economy includes Agriculture, Mining, and Exports. New York has several mining areas, including the Adirondack Mountains which produces zinc, and Westchester, which produces the mineral emery. The state also produces a small, but significant, amount of oil and natural gas worth around $500 million per year. New York City generates a large portion of the states economy, and is one of the three world powerhouse city economies, together with London and Tokyo. The city is home to the New York Stock Exchange (NYSE) or “Wall Street”, and experienced a 4.83% growth in jobs between 2000 and 2005. It is a globally important center for business and trade, and is currently the largest financial center in the world (although a recent downturn may mean this being lost to London, UK). The state as a whole has a gross product of over $960 billion, making it the third largest state economy. Other cities in the state have become important centers of industry and manufacturing. A number of companies are moving to New York to the Tech Valley area which is home to a growing number of specialist research facilities, and companies in the bio-tech, IT and renewable energy fields. The City of Albany is increasingly known for its nanotechnology industry. Tourism is another important feature of the state economy, both in urban areas, particularly New York City, and the many state National Parks, where features of outstanding natural beauty like Niagara Falls attract over $500 million from Canadian tourists alone. Canada is also an important export partner, and nearly 25% of the state’s exports were to Canada in 2004. New York’s cost of living is to some degree subsidised outside of New York City, with around $10 billion a year flowing from the city into the state. The state of New York is home to the largest port complex on the East Coast of the US and has the highest capacity for containerized cargo, having been a leader in containerization since the 50s. The port is seeing annual growth, with over 30 million tons of cargo worth nearly $150 billion, moving through the port in 2006, and providing around 230,000 jobs directly and in-directly. The port is also investing heavily in rail services, which will remove trucks and their associated congestion and pollution from the state roads. 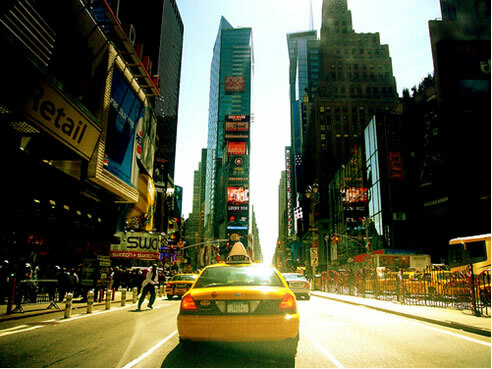 If you are looking to take your car with you on moving to NYC, New York is one of the best choices, having handled nearly 750,000 automobiles in 2004 and having dedicated automobile handling facilities. John F Kennedy International Airport (JFK) is the largest airport in the state and the leading airport in the US in terms of international passenger traffic. The airport is also a major air freight hub and transports more cargo by dollar value than any other in the US, contributes to the state economy through its facilitation of large import and export operations and passenger capacity, with around 100 million passengers travelling through JFK each year. The state is home to New York City, one of the most important cities in the world and the state’s most densely populated city, with a population of 8 million contained within around 320 square miles. Manhattan is the area with the highest density of population in the state, being home to 66,000 people per square mile! Other cities in the state have far smaller populations but are home to important industries, such as mining and nanotechnology. The second and third largest cities after New York City are Buffalo and Rochester. In fact, over 90% of the residents in New York state live in urban areas, although the state has a geographical size of over 50,000 square miles and is home to many outstanding natural features, containing large farming areas and other sparsely populated areas. It is also home to the largest national park in the US, Adirondack Park. The State’s name and that of two of its major cities is derived from the Duke of York and Albany an English Duke after whom the state and cities were named. New York’s city population has always been diverse, having been a landing point for immigrants since inception. Around one third of the population are immigrants, one of the highest figures for any US city. Unlike other US cities with large immigrant populations, such as Miami, people moving to NYC are split fairly evenly among a large number of countries. New York state is growing slowly and recently had a falling population. Despite this the number of people moving to New York from around the world has made it one of the most diverse states, and around 20% of the population were born in a different country. The state is home to some of the largest immigrant communities including African American, Italian and Irish populations which make up over 10% each of the population by ancestry. If you are looking to move to New York, we recommend you fill out the free estimate form which will allow you to specify details of the possessions you would like to take with you when you move. We will provide you with up to ten free, personalised quotes from pre-screened long distance moving companies (inter-state) and international moving companies.